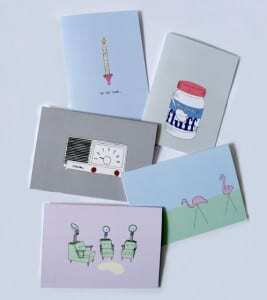 Being stationery nuts, we couldn’t resist releasing our new line of cards on National Stationery Day! As you well know, we love sending and receiving post and have a full blown addiction to pencils and paper. I’m not sure where we would be without the internet and emails and mobile phones and all of the other ways we have to communicate in the world today, but there is something so special about the ol’ snail mail. Even if it means spending more money and time trying to get your message to someone, it always brings a bigger smile and a lasting thought that none of the others can contend with. I don’t know about you, but I cant get enough of this white stuff. I use it for whoopie pies and for making the biggest mess in the kitchen known to man. Even looking at this jar gets me excited! There really is no substitute for Marshmallow Fluff. Come famous fudge or hot chocolate fun, you just can’t beat it. We hope it makes the comeback it deserves! If I could, I would have hundreds of these decorating my bedroom! 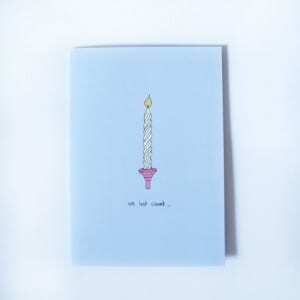 Birthdays can be a lot of fun, but we got a bit tired of seeing the same old boring cards. We love to pull people’s legs and a little bit of cheeky teasing is always good fun 😀 We created this “We Lost Count” card because we really think it doesn’t matter what the number is… and often, we genuinely can’t remember it! Haha! 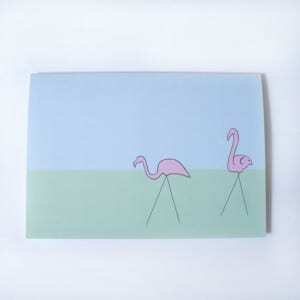 If I had a garden, the first thing I would do is put a couple of these amazing pink plastic flamingos in it. They’re super kitsch and always bring a big smile to my face. Nothing says summer cocktails like these guys! In fact, the two flamingos illustrated here were actually hanging outside the caravan park by the Heartbreak Hotel in Memphis. That’s right, they’re Elvis fans too! If that’s not a rock n roll accessory I don’t know what is. We love to collect random vintage items as we like to wonder about the stories that go with them. 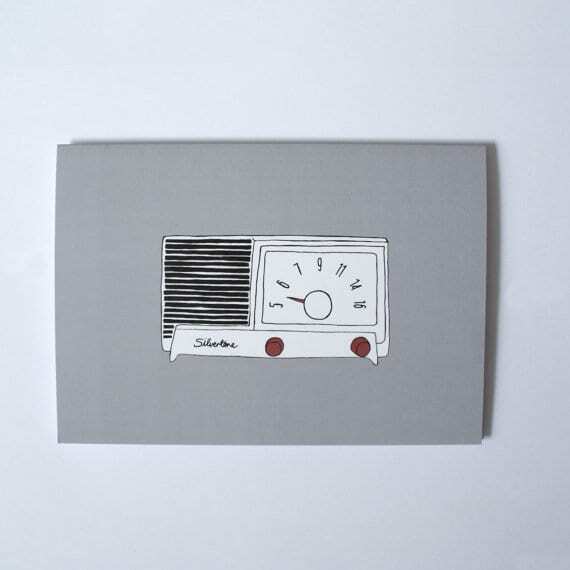 We found this beautiful clock radio in America and fell in love with it – and it’s not hard to see why! Not only will I never sleep in or wake up to the worlds most hateful beep in the morning. I think we need a National Clock Radio Day next! 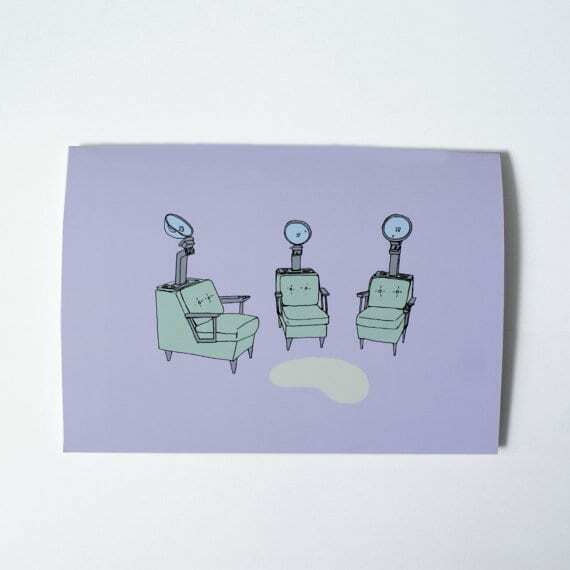 Finally, like diners, we love to find vintage and retro hair salons. Not the ones that have been re-decorated to look like they are ‘old school’, but the ones that have opened in the 50s and haven’t been decorated since. Oh boy! It melts my heart! If only I could cut hair… I tried that once, but the result was laughable :S Can you imagine the colossal amount of gossip in those walls? The lives changed by some peroxide and a few snips of some scissors? These old salons should be treasured and turned into some kind of Beauty Sanctuaries. Frenchie would be proud! …and what makes this card EXTRA special is that it is officially the 100th listing in our Etsy Boutique! 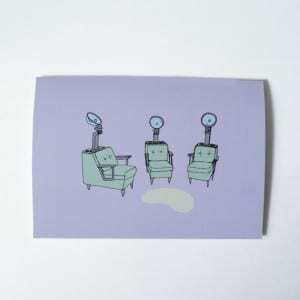 Yup, our new cards are the beginning of a whole new decimal point; how exciting! We are so proud of ourselves as creating so many different kinds of items can be quite the challenge. 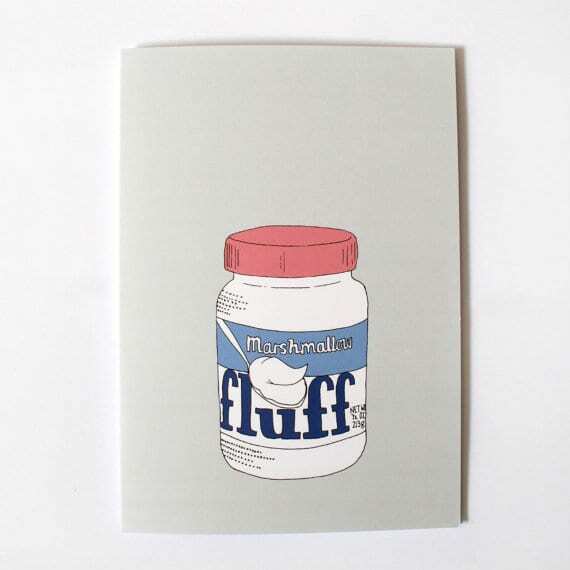 Love that marshmallow fluff card. I’ve never tried the stuff, but I’ve seen it. How bad would it damage my waistline? Actually, I don’t wanna know. I might just grab a spoon and close my eyes. But the card is gorgeous too, I have a horrible habit of collecting cards and business cards, whether they’ve been written in or not. I just love the designs. I am a serious hoarder.